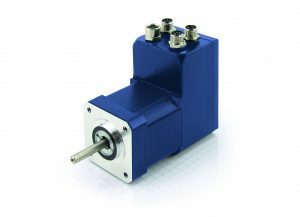 Integrated DC Servo’s are fully programmable with Plug & Drive Studio. I/O, Analog in or CANopen slave. They can accept Step & Direction or run analog position or velocity. Servo PID loops for Torque, Velocity and Position Control. CANopen is CIA402 compliant. 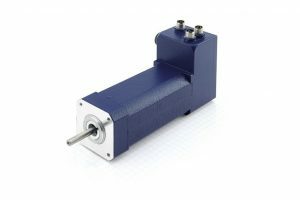 PD#-C are Step Servo Systems for high torque at lower speed & PD#-CB are Brushless Servo Systems with constant torque up to 3000 to 4000 RPM. 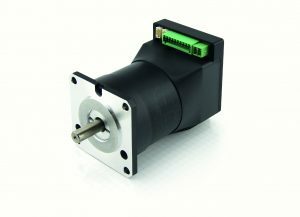 Built in single turn absolute encoder 4096PPR. Integrated DC Servo. 12 to 48Vdc. 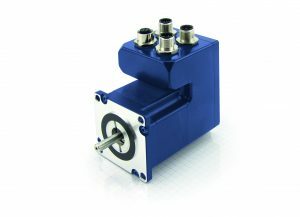 Servo PID loops for Torque, Velocity and Position Control. Single turn absolute 4096PPR encoder They can also Micro-Step at 4096/1.8 degrees ideal for very slow applications. Nema 17 Integrated High Pole DC Servo Step System. 0.5Nm torque can perform to 3000 RPM. IP65 Nema 17 Integrated High Pole DC Servo Step System. 0.5Nm torque can perform to 3000 RPM. (Except no shaft seal). M8 connectors for easy connectivity. Nema 23/24 Integrated High Pole DC Servo Step System. Torque up to 3.5Nm can perform up to 2000 RPM. Nema 34 Integrated High Pole DC Servo Step System. Torque up to 9.3Nm can perform up to 1000 RPM. Nema 23/24 Integrated High Pole DC Servo Step System. IP65 except shaft. Single or muliturn absolute encoder. Torque up to 3.5Nm can perform up to 2000 RPM. 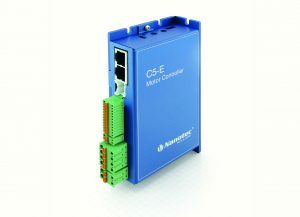 CANopen, EtherCAT, Modbus TCP or Ethernet IP. The PD4-E is in manufacturing and will be available from stock, December to March depending on options. Integrated DC Servo Systems. 12 to 48Vdc. Servo PID loops for Torque, Velocity and Position Control. IP65 Nema 17 Integrated DC Brushless Servo System. Up to 0.25Nm continuous torque, 4000 RPM. (Except no shaft seal). M8 connectors for easy connectivity. Nema 34 & 80mm Integrated DC Brushless Servo System. Up to 1.7Nm continuous torque, 3000 RPM. 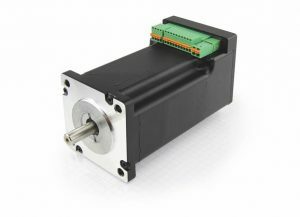 Servo Step or Brushless motors with encoder. No encoder, run with halls in velocity or micro step at 4096/1.8 degrees. 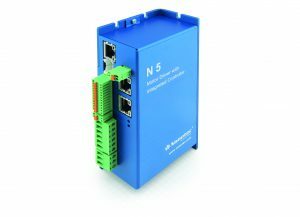 Optional EtherCAT, Ethernet IP, Modbus TCP & CANopen. N5-1-X 10A 12 to 72Vdc Step or DC brushless motors under 10A peak. 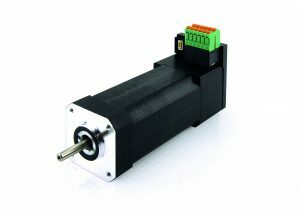 Servo Step or Brushless motors with encoder. No encoder, run with halls in velocity or micro step at 4096/1.8 degrees. CANopen network. 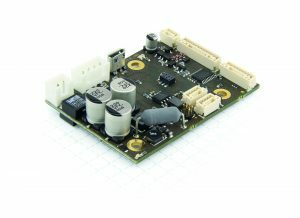 Servo Step or Brushless motors with encoder. No encoder, run with halls in velocity or micro step at 4096/1.8 degrees. USB, CANopen & Modbus RTU (RS485 or RS232). CL3-E-1 3A, 12 to 24Vdc Servo Step or Brushless motors under 3A peak. 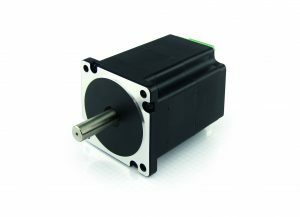 Integrated DC Servo Motors- High Pole Servo Step or Brushless Servo- Fully programmable, Step & Direction or Analog control. 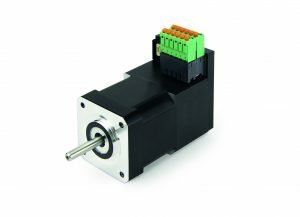 DC Servo Controls- Can Servo Step or Brushless motors with encoder- Fully programmable, Step & Direction or Analog control. 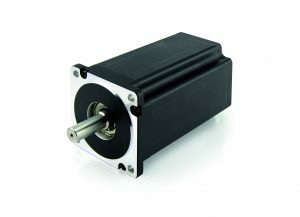 Step motors Nema 8 thru 42 and Brushless motors 22mm thru Nema 34. Custom OEM solutions Available.